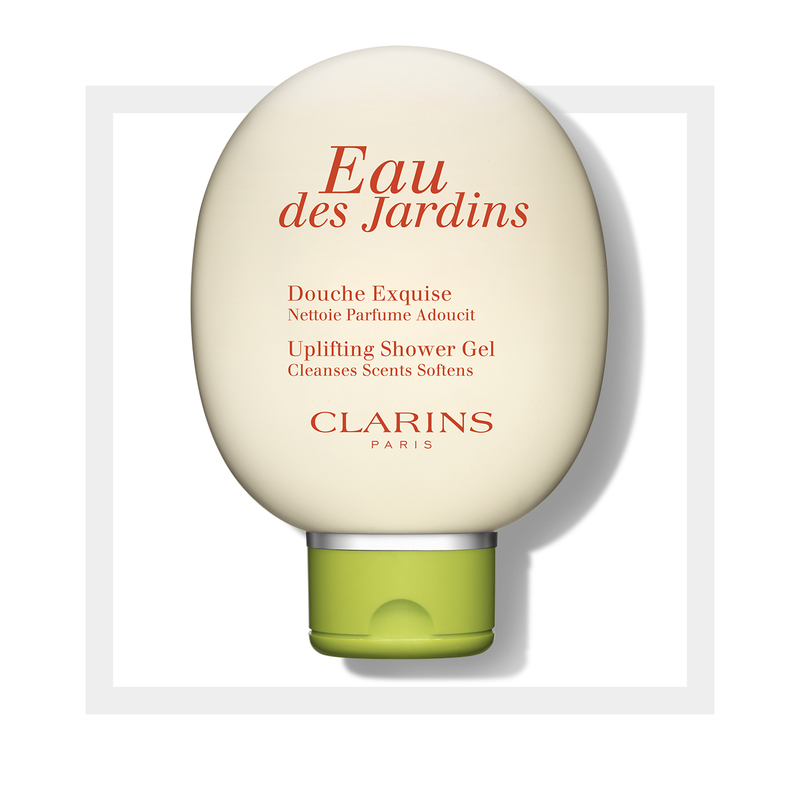 As refreshing as a walk through the Tuileries at high bloom, Clarins’ sparkling notes of grapefruit, orange and blackcurrant water-activate into a silky foam that floats away impurities. Enchanting scent lingers throughout the day. Rated 5 out of 5 by Babbsi from A little goes a long way! This shower gel is LUXURIOUS! I went overboard and squeezed too much on my loofah. My shower smelled like the gates of heaven. I use the fragrance as well and it layers well. I use it everyday I never save candles or anything else for that matter for special occasions. I could be dead tomorrow so, to be alive, that’s the special occasion. Rated 5 out of 5 by Roselily from Super scent Beautiful fresh scent that stays on the skin after a shower. I used this in the bath and the scent in the bathroom was divine! Skin feels great and calm. Rated 5 out of 5 by Vespa from Great shower gel! I love the shower gel, it has an energizing and floral fragrance. It gives a clear clean feel, and I feel like my skin can breathe. My only wish is that it came in a bigger size! Rated 2 out of 5 by LucyNYC from Dislike scent When I think of an uplifting scent-I think of the old formula Eau Dynamisante Body Wash or ANY of the old body washes. Not sure how long ago they were discontinued because they were around for many years. This Eau des Jardins smells like an outdated floral fragrance from the 1980's to me. I find the the old fragrances in a lot of the products were much more relaxing and therefore, aromatheraputic. Rated 4 out of 5 by Rach from Smells like heaven I love this shower gel, but need to save it for special occasions. It's a very small bottle and is very costly for shower gel. Sometimes I use unscented Dove body wash and then top it off with a little of this gel for similar results in an effort to save the "real" stuff. Rated 5 out of 5 by Leeshka from Love this I had been wishing for Claris to make a body wash! This is really great stuff. Rated 5 out of 5 by Leno from Love their products The perform exactly as stated in their descriptions. Packaging is elegant and ships always as stated!